With nearly 70 million current members and one million new members every 35 days, Snagajob is America’s #1 spot for hourly work— creating instant and quality connections between hourly workers and hourly employers to secure a job in minutes. We partner with half of the brands on the Fortune 1000 list and offer mobile solutions for every stage of the hiring process, from finding a job, to onboarding, to workforce management. Since 2000, our mission has been to put people in the right fit-positions so they can maximize their potential and live more fulfilling lives across a variety of industries, including restaurant, retail, hospitality and healthcare. Peter Harrison is the chief executive officer at Snagajob, where he couples his professional experience with a strong passion for helping people find the right-fit positions so they can maximize their potential and live more fulfilling lives. Peter works to position the company to job seekers and employers as a strategic partner that is helping transform the marketplace for on-demand hourly workers through highly innovative technology. Peter has more than 30 years of experience building and operating global technology enabled services companies. 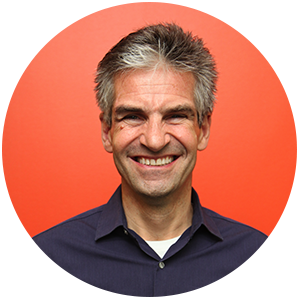 From 2001 to 2012, Peter served as chief executive officer of GlobalLogic,a full-lifecycle product development services leader, building the company from 20 employees to more than 6,000. Prior to GlobalLogic, Harrison was senior vice president of Field Operations at Versata, a leader in business automation software. While at Versata, he led the growth of revenues from $1 million to $56 million in four years, culminating in an IPO in 2000, which at the time ranked in the top 25 best openings of all time. Harrison holds a bachelor’s degree in Software Engineering from the University of Birmingham, UK. His first hourly job was as a street sweeper in London.